Issue 3 of Alt Hist: the new magazine of Historical Fiction and Alternate History is available now in eBook formats and in print book format. For an eBook format please visit Smashwords or Amazon.com or Amazon.co.uk for Kindle versions. 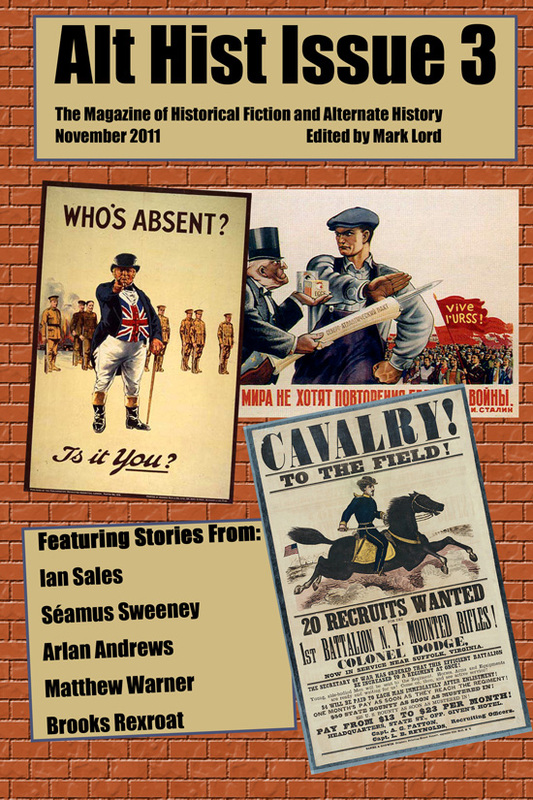 A print version of Alt Hist Issue 3 is available from Amazon.com or Lulu.com . The third issue of Alt His t includes two stories about the American Civil War (including a story that’s a cross between alternate history and science fiction), an alternate history about the great Tesla, a tale of post-war revenge set in Dublin, and a compelling story about the early years of the space race.